Quora Questions: What are some tips for getting the most relevant insights of a good book? What are some tips for getting the most relevant insights of a good book? "My favorite method is to make sure my journal is close at hand when reading so that I can immediately note ideas that come to mind while I am reading. You can do this digitally or on paper as long as you can easily find the info when you want it. The simple act of taking note of ideas and thoughts as you are reading almost guarantee that you will remember the relevant insights. My paper journals are used from both directions, from front to back they are a chronological journal. From back to front they are a series of pages dedicated to various blogs, organization and topics. This allows me to make full use of a given paper journal without wasting pages. As I am reading a book I might come up with an idea that would make a good topic for my Career Opportunities blod and podcast. That idea would go on the topic page for the blog. If an idea doesn't seem to apply to a particular topic, I note it in the chronological journal along with any other ideas or thoughts that might occur to me. In this way I can capture general information and also specific ideas I can immediately put to use." Why I organize unconferences — everybody wins! Alternatives for Sights You'd Rather Not See – December 28, 2010 – I think these are all great suggestions. How To Trash Your Tree – December 26, 2010 – Please share this info so we don’t end up with the usual Christmas Tree “litter” over the next week or so. I now have a chipper/shredder so I might gather up a few to make mulch for my garden paths. Vimeo Video School Offers Free Tutorials to Help Improve Your Video Skills [How To] – December 22, 2010 – I will be checking out each of these tutorials and you you should as well. This is just the type of thing I really like to share on New Media Interchange as it can help everyone put some of these New Media tools to use. Feds smackdown credits checks on job seekers – December 22, 2010 – I have always disliked this use of credit reports and I hope this signals and end to the process. 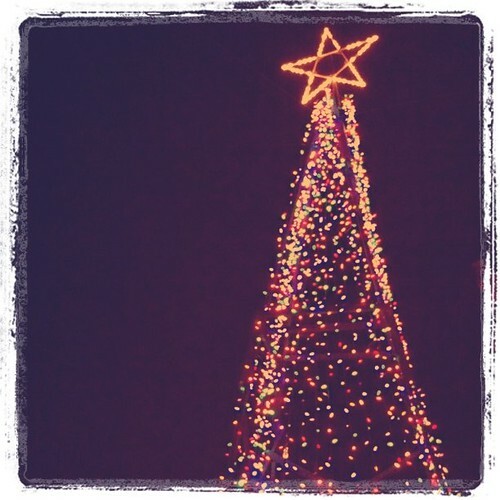 Christmas Tree in cul de sac, originally uploaded by dewelch. Quora: What are some easy tricks to fall asleep fast? Question from Quora.com: What are some easy tricks to fall asleep fast? When I am having particular trouble falling asleep I start to do something repetitive to keep my mind from running away. This can include repeating one word over and over, focusing on my breathing or, in particularly bad cases, opening my eyes and focusing on some point of light in the room. When in college, there used to be a radio tower visible from my window while I was lying in bed. I would watch the slowly pulsing red aircraft warning light throw half-open eyes and would often find myself drifting of to sleep without really noticing it. I think the most important thing is to distract your running mind, if this the main cause of sleeplessness, as it can take you down dark and anxiety filled roads if allowed. Quora Answers to What is the best way to learn to cook? It was a lovely day today here in Los Angeles so I made a point to stop by the Sepulveda Basin Wildlife Reserve this afternoon to try out the 360 Panorama iPhone App I purchased a couple of weeks ago This 99 cent app makes it very easy to capture panoramas without taking individual pictures and stitching them together. Sure, I can probably get higher quality using my digital camera, but the camera on the iPhone 4 is very capable and the convenience cannot be beat. Below are a series of panoramas I shot over the course of about 30 minutes. I have cropped them to remove edge artifacts from the panorama creation, but left the exposure unaltered. First, let me say, “YUM!” Our previous regular BBQ place closed over 6 month ago and we have been looking for a new place ever since. Our friends live near a great place in Woodland Hills, (My Brother’s BBQ) but that is a little too far away for anything but the occasional visit. Smoke City Market is probably about a mile away from the house and walkable in better weather. We were out in the wet today and just as the sun broke through we were driving by and there was a parking space, several in fact, right in front. We took this as a sign, as parking for the restaurant can be a bit hard to find, pulled in and made an early dinner of some great BBQ. I had meaning to stop by since I saw a blog post about their recent opening. This is Texas-style BBQ, so there are no combo plates. It is more like a meat market that happens to sell meals. 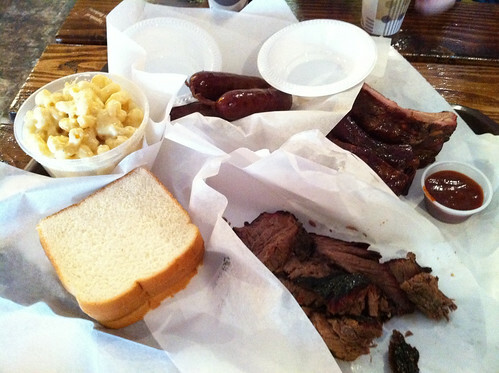 (You can read more about the history of Texas BBQ on their web site) All the meat is ordered by the fraction of a pound and served up on butcher paper along with a stack of white bread. A variety of sides are offered, including my favorite, mac and cheese, two different potato salads, corn on the cob and more. For our early dinner we ordered 1/3 lb of brisket (the Cutter’s special includes half and half their moist and lean brisket), 1/3 lb pork ribs (about 6 bones), smoked sausage, mac and cheese and creamy potato salad. Everything was top quality. I had originally ordered a jalapeño and cheese sausage but they were out, so I got the standard smoked sausage. A few minutes later, though, the chef brought me out a jalapeño and cheese link to try. He was still working on the recipe and didn’t have a full order at hand. This is was nice touch. They also comped us some of their banana pudding at the end of the meal. Great banana flavor and chunky bananas. As with any BBQ place, it can run a little more expensive that your typical restaurant, but ordering judiciously, based on your appetite and avoiding the more expensive side dishes can provide a lot of value for the buck. We ended up taking quite a few leftovers home and they will make a sizable lunch sometime this week. Wine and beer are for sale, including Shiner for those who want to get the full-on Texas BBQ experience. Knoword Is a Fun Way to Test (and Expand) Your Vocabulary [Friday Fun] – December 17, 2010 – The system seems to be suffering from too heavy a load at the moment but a few minutes of play shows that is very interesting. Cook’s Illustrated Tests Oven Thermometers – December 17, 2010 – After baking so much this month I am afraid that my oven thermostat isn’t working as well as it should. I have been meaning to buy a thermometer to better monitor the temperature and this article gives me further impetus to do just that. I now have quite a list of things to pick up at the restaurant supply store. Microsoft Security Essentials 2 Released, Still the Best Darn Antivirus Around [Downloads] – December 17, 2010 – I recommend this as the free, first line of defense on my client’s computers. It is fairly adept at locating and removing various types of malware. I am loading up this new version now to see what the changes are like. pate’s tapes: hours of terrific music – free – December 16, 2010 – A neat collection of musical mixtapes including several Christmas playlists. worth the wait: welsh cakes – December 16, 2010 – We had some of these from a vendor at Artisanal LA and loved them. Wish we would have found some of them while were in Wales. How to Celebrate a Public Domain Christmas – December 16, 2010 – A bunch of entertaining ideas for those cold, wet or snowy nights during the holidays. 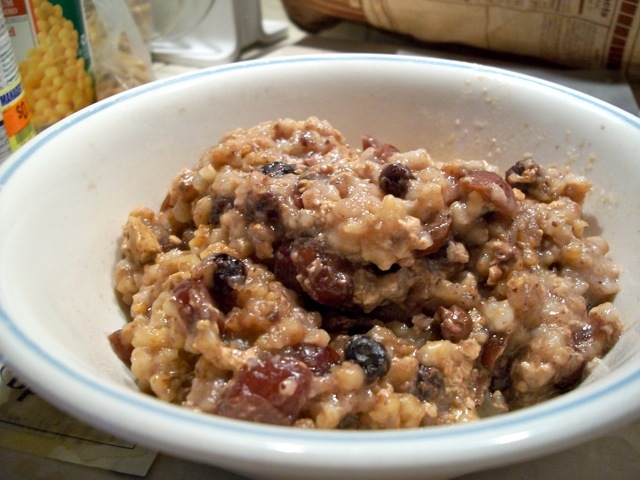 It’s the holidays again and this year I am remembering to post about my Christmas Morning Oatmeal early, so more of you can take advantage of it. The fact is, I put a reminder in my calendar last Christmas Eve so I didn’t forget. I make up this batch of overnight oatmeal as the last thing I do on Christmas Eve. Most everyone is long asleep as I add the ingredients to the slow cooker, including left over cream, half-n-half, dried fruit and whatever other tasty treats have come into the house over the holidays. This makes it a little different each year, bit always good and always special. With a kid in the house, having to wait until breakfast is made could make them burst with excitement and anticipation, so this oatmeal allows us to get up, grab a bowl and some coffee and move right on to opening presents. I think this is a perfect compromise — we get some food and the boy gets to move on with the festivities. As hard as it is for me to believe it, the boy is now 12, but he inherited his morning personality from his mother, so while it might be a little later start, wakeup will still be pretty early. This short video was shot by aforementioned “boy”, so it is a little rocky at times, but it gives you all the information your need and a little glimpse of our holiday in progress. Tonight marked our 5th Annual LIVE Reading of Charles Dicken’s A Christmas Carol. We had some new voices this year and had a great time as usual. You can listen to the entire show using the link below. 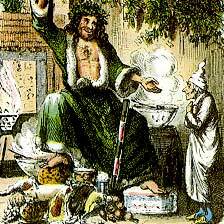 Consider having your own reading of A Christmas Carol, or other favorite story, as a way to gather friends together and share a unique experience. You don’t have to broadcast it like we do, but why not share it with the world! This year’s show was sponsored by WelchWrite.com, Eclipse-1 Media and New Media Interchange. Happy Holidays, Merry Christmas to all and to all a good night! 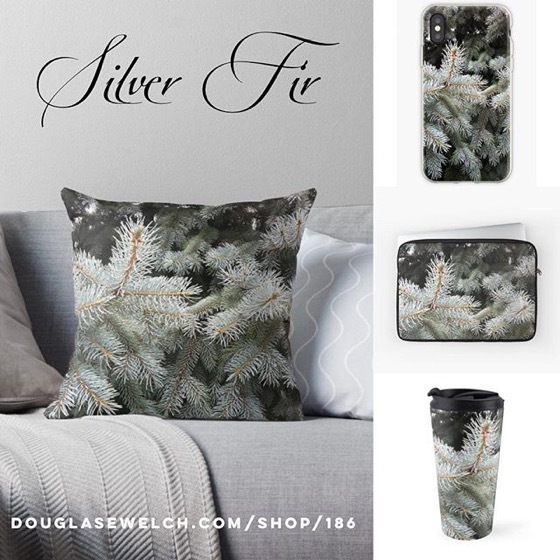 Enjoy more Christmas Carol in your own home! The audio CD of Patrick Stewart’s one man version of A Christmas Carol is absolutely amazing. We saw the show several times here in LA and met Patrick one evening. His version of “A Christmas Carol” was the driving factor in starting our own yearly reading of the story.